This is the home page of Steve, Melissa, and Zoe Lamoreaux. Zoe, 2002! 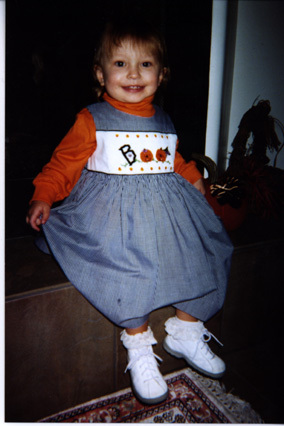 Halloween dress by Diane Boissevain. Watch for new stuff, to be added soon.